Simply put, the Law of One is the Universal Truth that All Is One. It is the Truth taught by Christ when he proclaimed, “Love your neighbor as you love yourself.” We are all direct expressions of the One Source God Source. 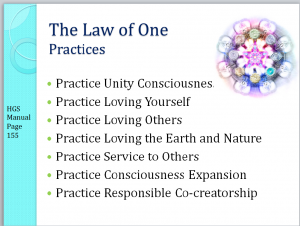 The Law of One is an energetic reality as well as a creational covenant with the Founder Races. (The Family Entity of RA, the Melchizedek Ur’s, The Aurora Host Races) The Law of One is practiced by the Advanced Races that promote Self-Responsibility and accountability in our Universal Time Matrix through the comprehension of the energetic interconnection that exists between all living things. The Law of One expresses and acknowledges the interconnection, value and interdependence of the spirit and Consciousness that animates all things. This is the path to GSF. In the interpretation of the Law of One in Spiritual Ascension context, it is a egalitarian philosophy for evolving humanity towards humanitarian goals. 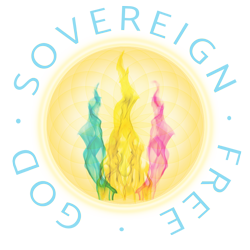 Ascension study is made as an evolutionary model for our planet and humanity to achieve spiritual freedom. The main focus is upon the inner spiritual study and reflection made upon the personal commitment to expand one’s consciousness and benevolence towards life. As we expand our consciousness we shift perspective to feel our interconnection with all Life and become orientated to be of service (Service to Others) thus, reflecting inner truth. When we experience this all encompassing spiritual-energetic connection, we inherently desire to practice human kindness and seek to collaborate with developing higher structures that place value on human beings, a value system of a World Humanism. PRACTICE FIVE: SERVICE TO OTHERS – Upon firmly loving yourself and honoring your path, find methods to be of service to others that do not overstep personal boundaries of discernment. Being of Service to Others does not include consumptive modeling, such as Victim-Victimizer, parasitism or emotional vampirism. Being of service does not hold an ego perspective of entitlement, expectation or attachment. Practice being of service with unconditional love, and naturally flowing in the moment. The energy exchange made between participants being of service to others, amplifies and expands consciousness growth like no other method. The more you amplify the energetic field of being in service to others, the more joy, harmony and gifts will be brought into your life. The more service you dedicate to God’s plan, the Law of One, the more spiritual support and spiritual presence one can exchange with God Force.